Snoring and Sleep Apnea, which are types of sleep disordered breathing, affect a large percentage of adults and many children. These problems can lead to many other overall health concerns including high blood pressure, weight gain, depression, acid reflux, over-active behavior and many others. Our doctors firmly believe that quality sleep is necessary for overall health and stable dental health. In many people, there is a correlation between nocturnal bruxism (tooth grinding) and sleep disordered breathing.Our dental professionals have been trained to evaluate the warning signs and oral risk factors associated with sleep disordered breathing. If they feel that you are in a high risk category, we will discuss diagnosis options and treatment options with you. Dr. Jill brought this part of dentistry into the office in 2005 when she noticed that her husband’s loud snoring included small breaks followed by large gasps of air and sometimes jerky body movements during sleep. This is sleep apnea! Through research and continuing education, Dr. Jill learned the diagnosis and treatment options available and had her husband treated. He was a candidate for a Mandibular Advancement Device (MAD), which is an oral appliance used to hold the jaw comfortably in a slightly forward position in order to open the airway. Dr. Jill’s husband was a very understanding guinea pig and tried multiple appliances. Two weeks after starting to wear the appliance, he told Dr. Jill, “I never realized how tired I actually was. I thought everyone had to try to stay awake in afternoon meetings at work. Now I feel awake and engaged all day.” He had Dr. Jill make him a second appliance to keep on hand because he never wants there to be any reason he has to spend a night without it. With the help of Dr. Jill’s husband and his honest feedback, Prosper Family Dentistry now offers a variety of sleep appliances and have helped countless men and women get a better night of sleep! Sleep disordered breathing (SDB) includes an array of breathing problems during sleep. Snoring, difficulty with breathing, and interrupted breathing are included. Sleep disordered breathing is a spectrum of severity based on the collapsibility of the airway. Symptoms increase due to the increase in the disruption of airflow. When the jaw opens and the tongue falls into the back of the throat, the airway narrows forcing air through the smaller opening. This creates vibrations in the throat known as snoring. Although snoring seems physically harmless, it can be a “red flag” for a much more serious and sometimes fatal condition called obstructive sleep apnea (OSA). 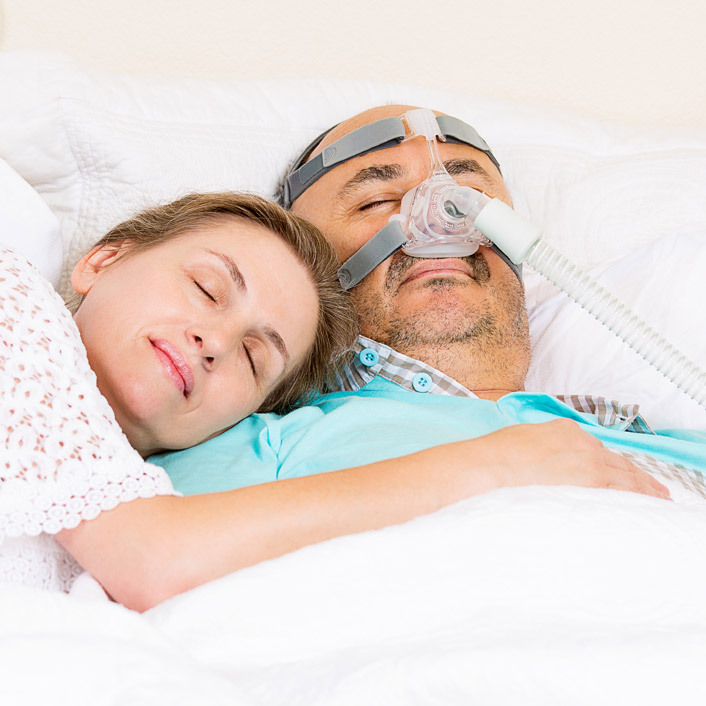 Obstructive sleep apnea (OSA) occurs when the airway completely collapses blocking airflow into the lungs. The harder one tries to breathe, the tighter the airway seals. This airway obstruction persists until the brain partially awakens the person. Unconsciously, he/she will close the jaw returning the tongue and throat to a normal position. The sleep apnea cycle – falling asleep, jaw relaxing, airway collapsing, unconsciously awakening with a gasp, falling back asleep – can repeat itself one time per minute or more in severe cases. With a blocked air passage, one does not receive enough oxygen. Both the awakenings and oxygen deprivation can then trigger other health problems. We currently offer a variety of oral appliance therapy for the treatment of sleep apnea, including the Thornton Adjustable Positioner® (TAP®), the Somnodent®, and the Narval CC®. Each of these devices is classified as a mandibular advancement device. They alleviate snoring and sleep apnea by holding the mandible forward during sleep so that the tongue and soft tissues of the throat do not collapse into the airway. They are based on the same principle as the technique used in cardiopulmonary resuscitation (CPR) to open the airway. The jaw is positioned forward to allow air to pass through the throat. A study published in CHEST, the official publication of the American College of Chest Physicians, in 1996 states that oral appliances are an effective treatment for mild to moderate obstructive sleep apnea and are associated with fewer side effects and greater patient satisfaction than a CPAP machine.